We connect children with autism, depression and anxiety to well trained and well behaved dogs. We are an ambulatory “classroom” in which our screened volunteers and their dogs visit children and their families in their homes over a predetermined period of time (after school and on weekends). As a parent of an autistic, depressed or anxious child, you are encouraged to explore and learn about the opportunities available for your youngster to be a member of Nellie’s Schoolhouse. The relationship between a child and a dog has been proven to be powerful and life changing. Another Exciting Winter at Nellie’s Schoolhouse! We had a great 2018 at Nellie’s! During our third year we renewed several of our partnerships and started new relationships, and now our list of active partners totals 13. We are thankful for this opportunity to spread the joy and fulfillment that comes with learning to properly pet, groom, feed and walk a dog. So far, we are loving 2019! 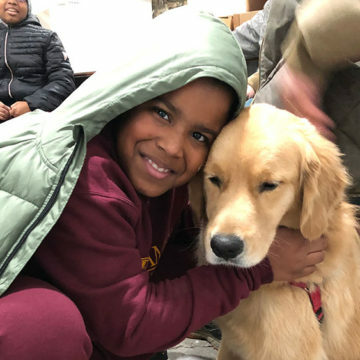 We’ve already had plenty of opportunities to connect our dogs with children in need of a canine companion. Nellie’s Schoolhouse thanks you for your continued support that makes our work possible. 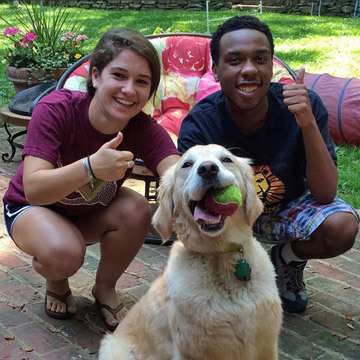 Support Tom & Zeke as They Howl & Hike for 500 Miles! What Have We Been Up To in 2019? Teaching a child how to properly approach, and pet a dog. Teaching a child how to effectively groom a dog. Teaching a child how to correctly treat and feed a dog. Teaching a child how to safely and securely leash walk a dog. 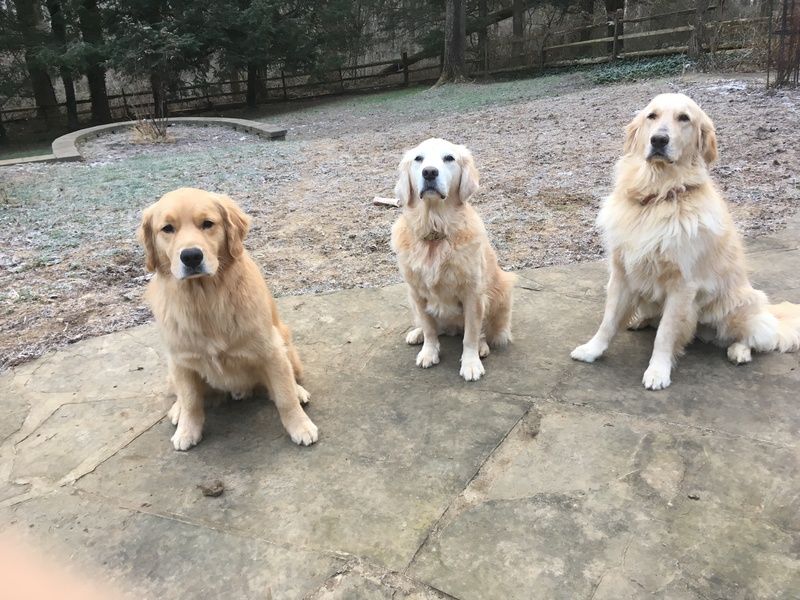 Teaching a child how to give and implement verbal and non -verbal commands to dogs. 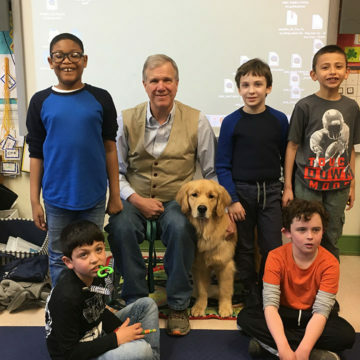 Teaching children how to understand the language of dogs and feel comfortable around their canine friends. We want the relationship between children and our dogs to be positive, stimulating, educational and most importantly, enjoyable. Therefore, just like with our volunteers and their canine companions, we ask children and their families to participate in a low-key and welcoming screening process. They are interviewed and assessed before they are accepted into Nellie’s Schoolhouse. Our director and an educational counselor meet and speak with each child and her family before visits begin, as it is critical for our volunteer/dog teams and children/family teams to have a effective and comfortable match. We want volunteers who love dogs and children. We want even more volunteers who are dedicated to the belief that dogs bring comfort, understanding, education and self confidence to the children they serve. We want volunteers who are patient, positive, enthusiastic, and flexible and passionately believe that every child is filled with goodness, talent and unlimited potential.